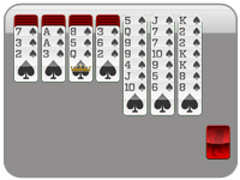 Yukon Solitaire is a fun variation on the games Spider Solitaire and Klondike Solitaire. This card game is quite difficult, and this two suit yukon solitaire version is a great place to start for solitaire beginners looking to enjoy this popular solitaire variation. As the name suggests, Two Suit Yukon Solitaire uses only 2 suits during the solitaire game. 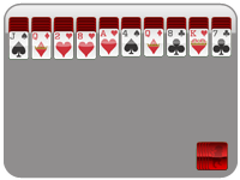 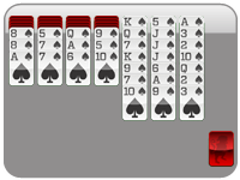 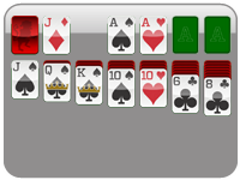 There are four foundations visible on the right hand side where you want to place all your cards into, like in Klondike Solitaire. 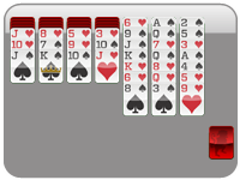 Because there are only two suits, you may stack cards into the four foundations Ace to King twice for each suit. 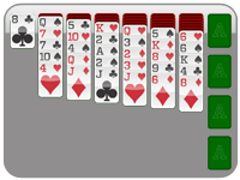 Build the tableaus downward from King to Ace, alternating colors as you proceed - but the fun thing about Yukon Solitaire is that you can place any stack of cards onto another just so long as the top card of the moving stack matches correctly (different color in descending order) to the final destination card of the stack staying in place. 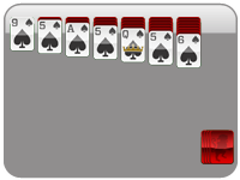 Note, though, that only Kings can be placed into empty slots! 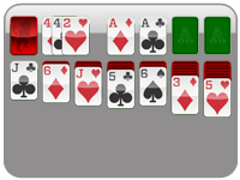 Yukon Solitaire played with two suits instead of four is great for solitaire beginners! Place all the cards into the solitaire foundations. 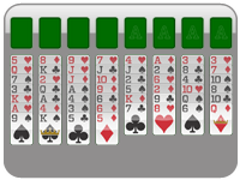 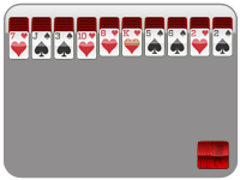 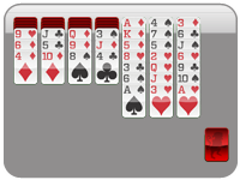 Only Kings can be placed in open solitaire slots on the Yukon Solitaire board.